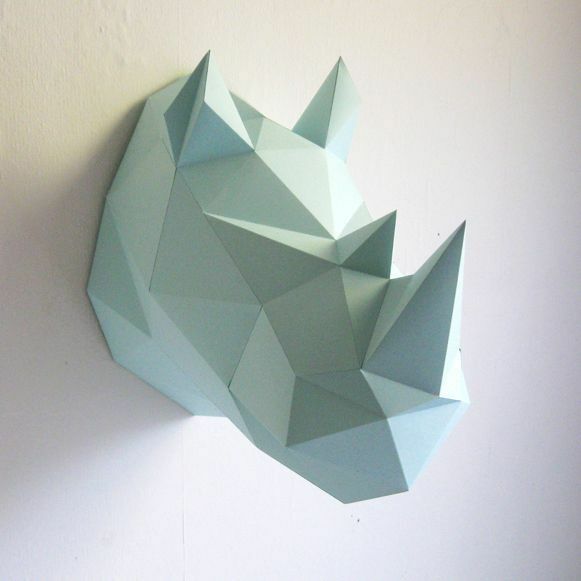 Fantastic DIY mint Rhino wall hanging created by the Dutch brand Assembli. 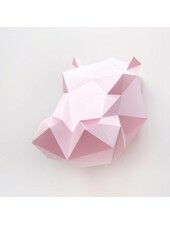 The paper Rhino construction kit is an animal friendly DIY project to create a big wall trophy. A DIY a more than friendly rhino. Folding kit to create a wall trophy. The size of the trophy is 39x27x40 cm. This trophy will make its way onto a wall of the living room or bedroom. * All information necessary for assembly.